Are you looking for a low profile, quick release vice to speed up and simplify your engraving process? Then you are at the right place. 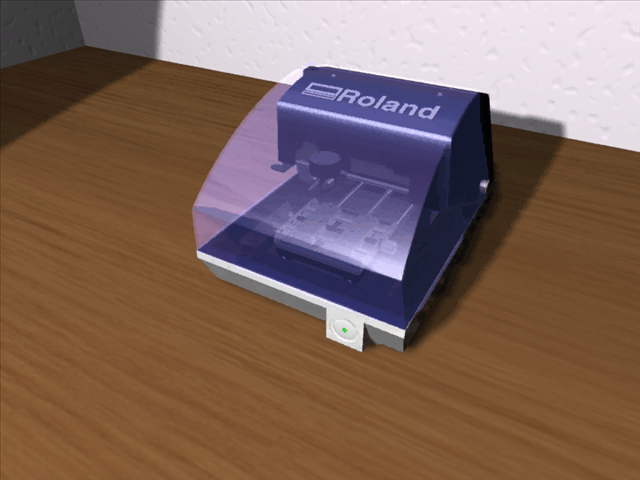 Engrave corporate gifts, trophies, awards, medallions, glass, silver, jewellery, pins and so much more with the help of Roland's new vice & unique secure-a-hold jaw technology. We hope you enjoy this vice as much as we did creating the various solutions for customer's problems. We would love to hear from you if you have suggestions, criticisms, can't clamp an object, or would like to share your use of this product with other users. Please click here, to correspond with us. Gerald Hiller, Gert Cuypers, Rick Rivera, Peter Kettle, Robert Willemstein, Mike Armour, Mathew Landrigan, Patrice Denonfoux, Bob Glenister, and Tony and Gerry of Shilton Engineering. Our special thanks must go to Ko of Kotag Engraving, Keneth of Prestige Awards and Mr Liep of Hi Tech Engraving who patiently tested our prototypes, and suggested improvements. Enjoy! We are sure that you will wonder how you managed before acquiring the EGX-ProVice. If you would like to learn how the vices work we have plenty of Video Tutorials for you to watch, or if you would like to download the videos you can click here click here.